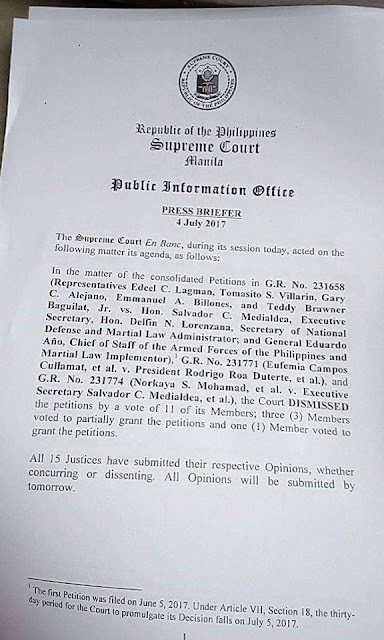 JUST IN: Supreme Court upholds martial law in Mindanao, junks petitions seeking to strike down PRRD proclamation. @SolGenCalida confirms SC voted to affirm #PresidentDuterte's martial law proclamation in Mindanao. 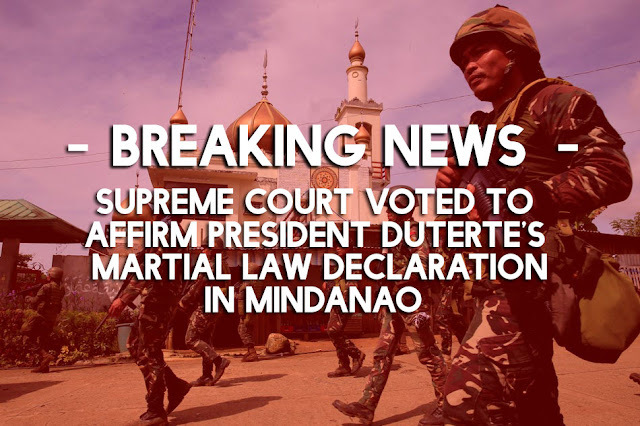 Voting 11-3-1, the Supreme Court ruled in favor of President Rodrigo Duterte's proclamation of martial law in Mindanao. This means that the high court junked all consolidated petitions against the said move. - Lacson, Ejercito vs Trillanes: Trillanes to face ethics probe?